GDPR (General Data Protection Regulation) is a regulation by which the three primary institutions of the European Union (EU Parliament, EU Council and European Commission) intend to strengthen the protection of personal data within the EU&apos;s borders. This regulation also addresses the export of this data outside the EU. It will become effective on May 25th, 2018. GDPR (General Data Protection Regulation) is a regulation by which the three All entities that collect or process data of EU citizens should comply with GDPR. This includes both EU entities, but also non-EU entities (ie: companies from USA, China, etc). The responsibility of GDPR compliance is shared between 123FormBuilder (the "Data Processor", in GDPR terminology) and the 123FormBuilder Customers (the "Data Controllers", in GDPR terminology). Each of them has specific obligations, in order the assure the maximum protection possible for the data collected using 123FormBuilder forms. The people that fill the forms (the "Data Subjects") have specific new rights, which have to be respected both by the Data Processor and the Data Controller.  123FormBuilder has performed an in-depth analysis of its processes, systems, contracts, in order to make sure it offers the required level of data privacy, required by GDPR. We implemented new features and processes, to assure our compliance with the requirements. We identified our obligations and our Customers&apos; obligations and we documented everything, so that it&apos;s easier for our Customers to comply with the GDPR requirements. We performed trainings for 123FormBuilder employees and we will repeat them periodically, to make sure the level of data protection we offer is the best possible. Analyze your business processes, systems, the ways your process Personal Data, check if they meet the GDPR requirements. If they don&apos;t, make a plan to address the issues. Review your obligations as Data Controller on the 123FormBuilder platform. Download the 123FormBuilder GDPR whitepaper, this should help you a lot. Please click here to download our DPA if your organization is established in the European Union (EU) or subject to GDPR. Then review, countersign, and return the document to gdpr@123formbuilder.com . Starting with the day you sign and send us the DPA, it will become part of your 123FormBuilder subscription documents. It is recommended to perform this action before May 25th 2018 (when GDPR becomes effective). If you have questions, don&apos;t hesitate to contact us, we&apos;re here to help!